There has been one ingredient that has almost been forgotten as a cocktail ingredient: egg whites. Yes… in raw form. I was re-introduced to the egg white as a cocktail ingredient in Peru. Pisco sours are the national drink there and every single one of them, if made correctly, is shaken together with a raw egg white. Needless to say that I drank more than a few of them while I was there and have been experimenting with egg white cocktails for the last few weeks. 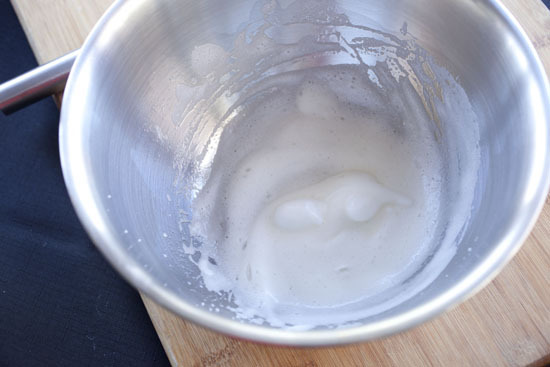 I thought it would be fun to write a post on how to use egg whites and give you guys a few recipes to try out if you are feeling ambitious! This is a walk through on how to use egg whites to make cocktails that use egg whites and three delicious cocktail recipes to try! 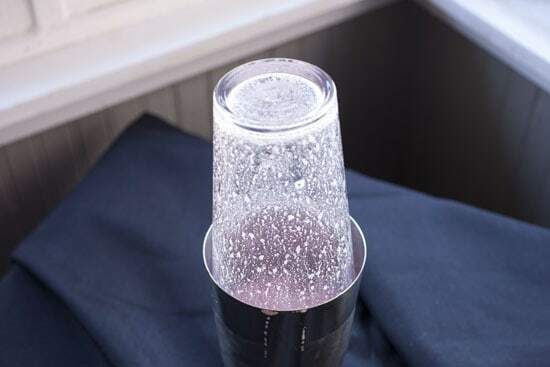 1) For any of the cocktails, add ingredients to a cocktail shaker with lots of ice. 2) Shake vigorously for 20 seconds. 3) Strain into chilled glass, garnish, and serve. There is a ton of information about eating raw egg whites out there. 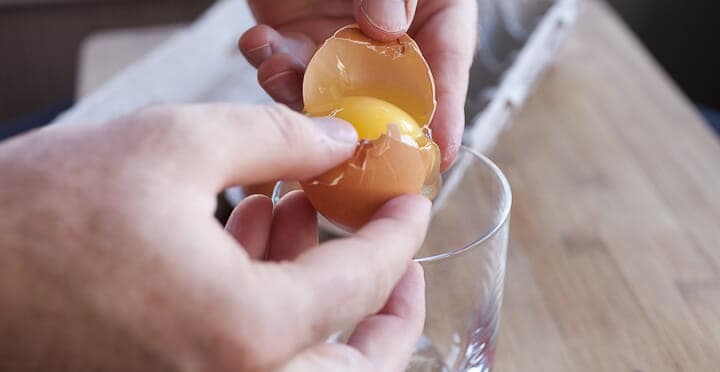 It’s commonly known that eggs can contain Salmonella so eating them raw could pose a risk, especially for the young, old, or people with weakened immune systems. My take on the situation is that there are lots of ways you can get food sickness and the likelihood of getting sick from eggs is very small. Of course, the FDA will tell you to never eat them and play it safe, but the truth is that your risk is very low. Most estimates say that in the United States roughly 1 in 20,000 eggs contains some trace of Salmonella. That means that for most consumers you might encounter a bad egg every 84 years. For more info on eggs, check out this FAQ. Buy the freshest, best eggs you can find. Fresh eggs are less likely to contain enough bacteria to cause a problem. Buying local eggs tends to mean fresher eggs, but there is no study that I could find that says local or farm raised eggs have a lower chance of infection. I buy them though anyway. Keep the eggs cold which inhibits bacteria growth. Don’t use any eggs that are cracked or leaking. Now, all of that said, you still take a small risk every time you eat an undercooked egg. If you feel uncomfortable with it, then by all means avoid it or use pasteurized eggs which are almost certainly safe. It might seem weird to think of egg whites in a drink, but the thing that makes egg whites the perfect drink ingredient is what happens to them when you beat them like crazy. 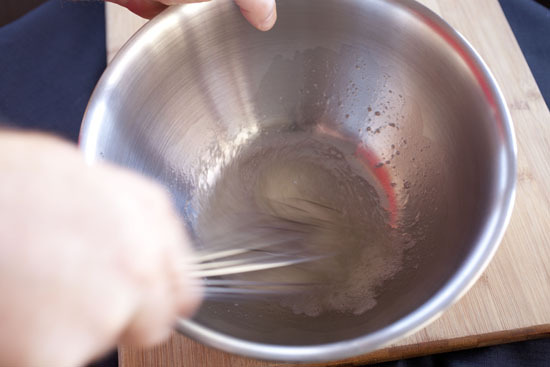 You’ll end up with a very light and fluffy meringue. This has a ton of applications in the cooking world, but in a cocktail it makes the drink really light, fluffy, and wonderful. It’s similar to what steamed milk does to coffee. 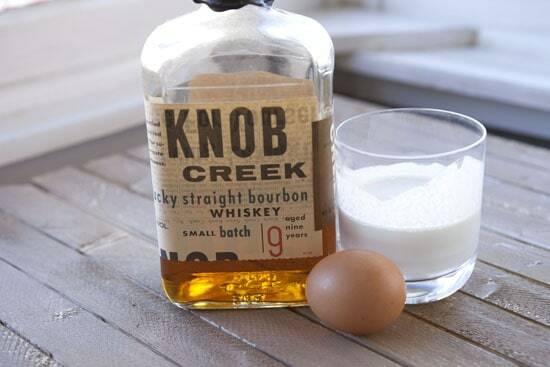 The key when you’re adding the egg white to any of the below cocktails is to separate it from the yolk (you can just strain it through your fingers carefully). Then add it to a cocktail shaker with the other ingredients and a lot of ice. Then shake it like crazy for at least twenty seconds. Really go to town on it. Then you just strain it into your glass of choice. Now let’s make some egg white cocktails! I picked three cocktails that use different spirits, but in general gin is the most popular spirit to use with egg whites. This is a twist on a classic gin fizz that is a bit sweeter due to a small amount of cherry syrup (or grenadine). Shake it all together and strain it into a chilled martini glass. Ask your local bartender for this and they most likely won’t be able to make it for you! Again, this is the cocktail that got me thinking again about egg whites in cocktails. It’s THE classic Peru cocktail and there are a million variations on it. This is the most basic variation though. A small dash of cinnamon on top of the drink really brings out the flavors. It’s simple, but packs a punch. This was honestly my favorite of the three cocktails that I tried. It was almost like egg nog which makes it perfect for the upcoming holidays! Again, just shake everything together like crazy and strain it into a chilled glass. Sprinkle with some freshly grated nutmeg and it’s basically dessert in a glass. Of course, you try all of these egg white cocktails at your own risk, but you better believe I’ll be trying them frequently. Have any of you tried egg whites in drinks or is it too much for you? Leave a comment! Hey Nick, thanks for posting this. Just thought I’d get in before all the (other) cocktail nerds do. It’s possible that egg whites had been forgotten as a cocktail ingredient 10 or 15 years ago, but you’d be hard-pressed to walk into any cocktail bar worth its (margarita) salt these days and not find at least 3 or 4 drinks using it. 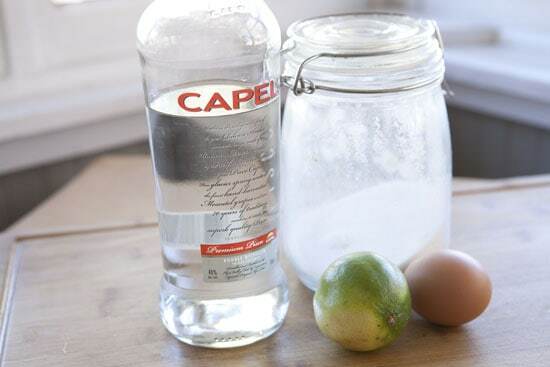 1) whenever mixing a drink with egg white, it’s best to first do a “dry shake” for 10-15 seconds with all the ingredients (including egg whites), but without the ice in the cocktail shaker to get a good foam built up. Some places actually throw in the spring part of a hawthorne strainer or one of those metal spring balls that come with protein shake bottles to get a particularly good froth. Once you’ve done that, add ice and shake some more for dilution/chilling. 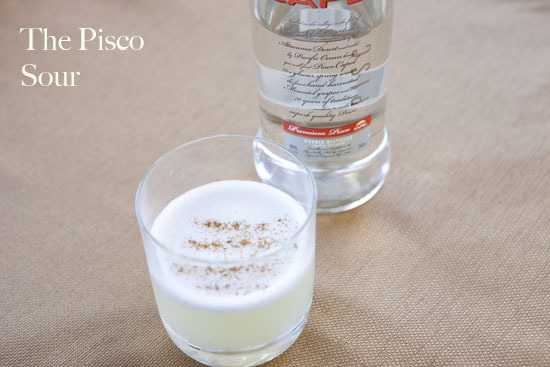 2) Most “classic” pisco sour recipes include a few drops of angostura bitters on top rather than cinnamon. That was my experience in Peru, anyway, as well as at most bars at which I’ve imbimbed ’em. Generally speaking, you’d use the whole egg in a flip. Looking back at your article now, I now see that it appears that you did. My bad! 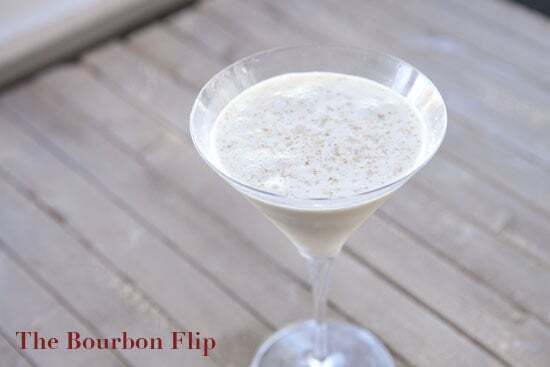 I guess more correctly this article should be titled “2 Egg white cocktails and one flip”! Anyway, new to your blog, and am *loving* it. Thanks for bringing attention to three very worthy and classic drinks. 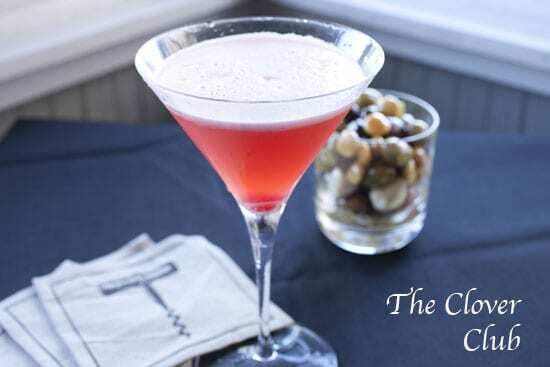 If you can find proper marasca cherries for your Clover Club (http://12bottlebar.com/2011/07/homemade-imitation-maraschino-cherries-and-brandied-cherries/), that will elevate it even more. Re: diseases, be sure to wash the outside of the egg in warm water since all the icky stuff is on the outside! One of my favorite haunts here in Winnipeg has a new extension called the Whiskey Bar that specializes in good whiskeys and old school cocktails. 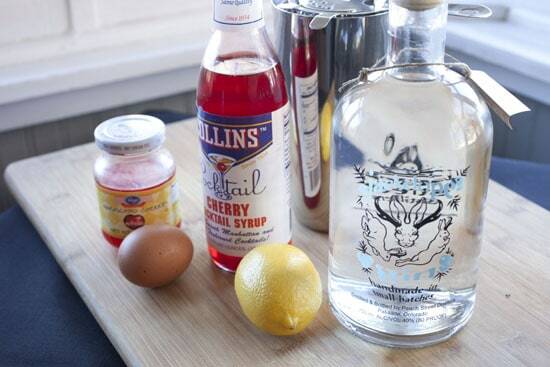 For their whiskey sours, they juice a fresh lime and use an egg white. Give it a try and you’ll never go back! Excellent post. Just back from a long plane flight and was looking forward to an indulgent but light pick me up. This is great inspiration, a Clover Club is about to hit the spot! Thanks for posting this! I’m a huge fan of egg white in cocktail and I am happy that you’ve posted this recipe along with the methodology and equipment. I would love to shake this thing in one of my cocktail parties.